These cutlery rest are not only for flatware. 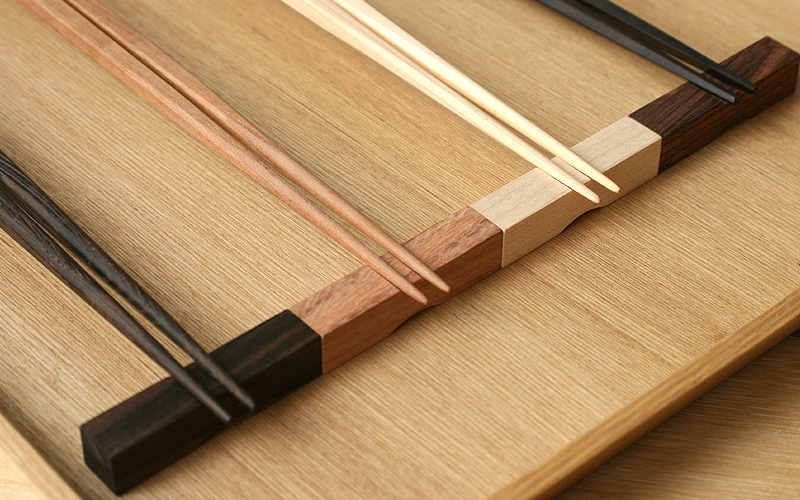 By flipping over to the other side, it turns into a chopsticks rest with grooves for their tips. 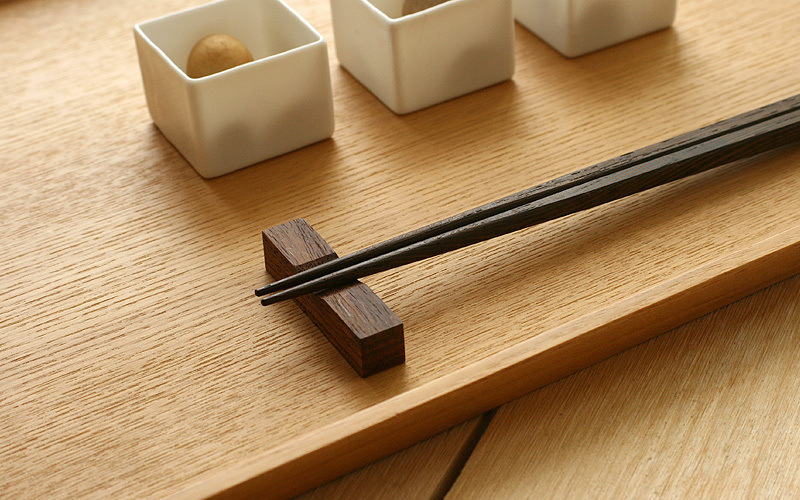 The texture of real wood adds authentic feel to ethnic meals. 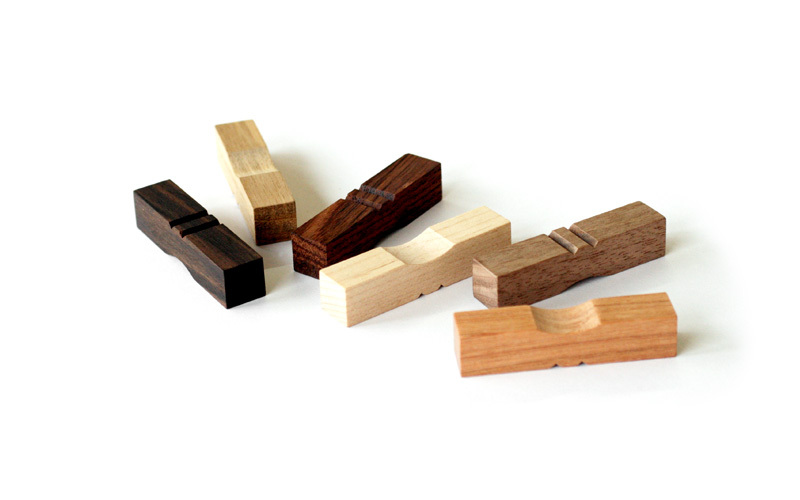 It is a set of 6 in assortment of following wood types. Maple, Teak, Walnut, Cherry, Rosewood and Ebony.